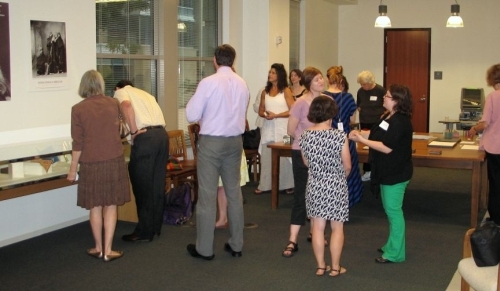 For the past two summers, three art libraries, the Hirshhorn Library (HMSG), the African Art Library (NMAA), and the American Art Library/National Portrait Gallery Library (AA/PG) have hosted graduate library student interns through the Smithsonian Libraries Professional Development Internship to work on the three libraries’ artists’ book collections. Each library has a history of collecting artists’ book with varied goals. Books in the HMSG Library have been collected in order to support the museum’s collection. While artists’ books in NMAA serve as examples of African art, those purchased in the past for the AA/PG library have been purchased for primarily aesthetic reasons. Under the coordination of Anna Brooke (HMSG) with partnership with Janet Stanley (NMAA) and Doug Litts (AA/PG), the internships were developed to define the issues regarding artists’ in library collections and to determine ways to provide greater accessibility to the collections in the online catalog with the ultimate goal of providing more exposure to one of Smithsonian Libraries’ many hidden collections. 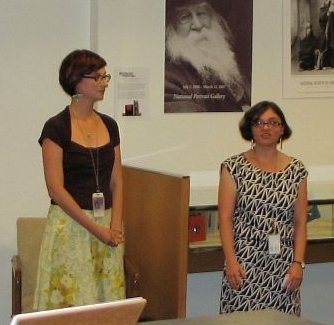 This year’s interns, Michelle Strizever and Amanda Meeks, worked collaboratively to make the hidden artists’ book collection more accessible and more visible to the public through addressing cataloging issues and highlighting items found within the collection. 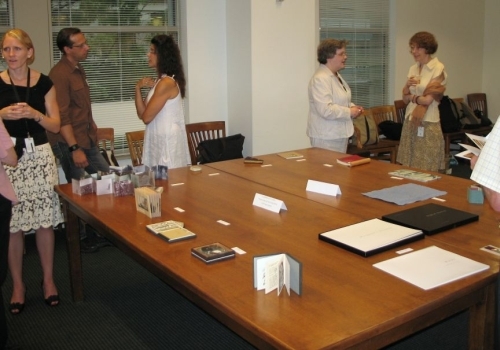 Part of their project was researching items in the collection and writing about them (such as this blog entry by Michelle on a book in AA/PG’s collection). Amanda and Michelle also put together a small exhibit of six books from the AA/PG collection that they researched and found particularly interesting. The Library hosted an opening for the exhibit on July 18 featuring both these books as well as twelve others from the AA/PG collection that visitors could examine. We had a great turn out. 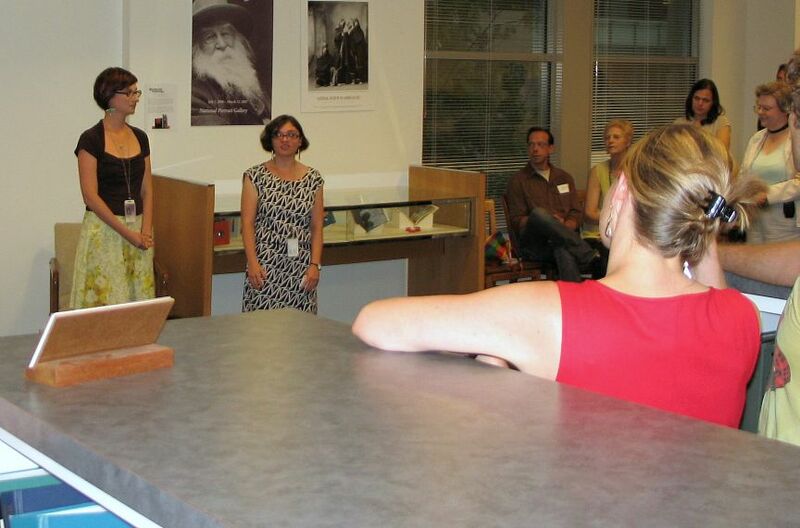 Over fifty people attended the opening, including Smithsonian staff and interns, local librarians and university instructors, students, book artists, and book art enthusiasts. Doug Litts gave a brief overview of the three collections and the ongoing internship projects and artists’ book initiatives while Amanda and Michelle talked about both their exhibit as well their interests and projects. Due to the enthusiastic response of the community, the excellent work of the artists’ book interns past and present, and the desire to provide greater access and exposure to special collections held in the Libraries, the art libraries will continue to work with our colleagues on future collaborative efforts featuring artists’ books. In the meantime, the exhibit will be on display through the fall at the AA/PG Library and can be visited during regular library hours.